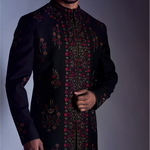 A black sherwani with dull floral embroidery all over. 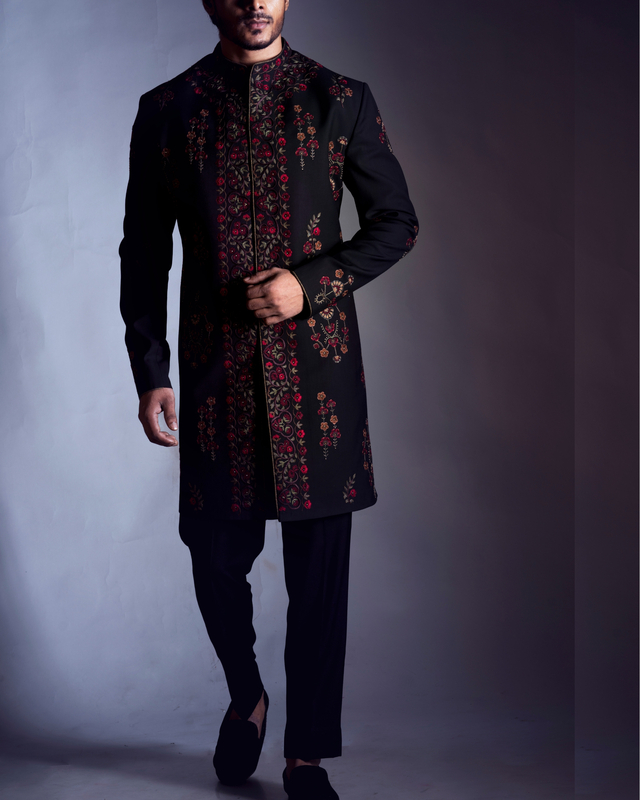  Comes with black narrow fit trousers. 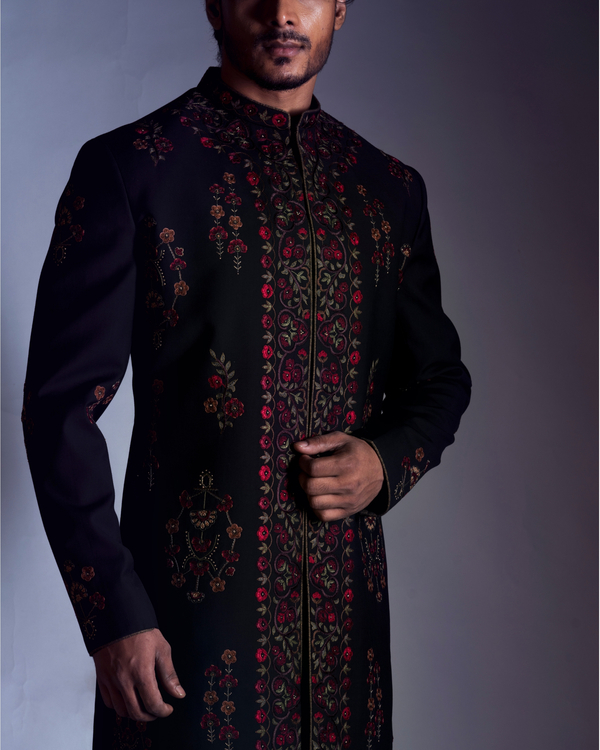 S: CHEST-40", SHOULDER - 18", SHERWANI LENGTH- 46", PANTS LENGTH-51"
M: CHEST-42", SHOULDER - 18.5", SHERWANI LENGTH- 46", PANTS LENGTH-51"
L: CHEST-44", SHOULDER - 19", SHERWANI LENGTH- 46", PANTS LENGTH-51"
XL: CHEST-48", SHOULDER - 19.5", SHERWANI LENGTH- 47", PANTS LENGTH-51"
XXL: CHEST-50", SHOULDER - 20", SHERWANI LENGTH- 47", PANTS LENGTH-51"